When I filled out a 30-day tourist visa upon arrival in Ethiopia, the country from which my parents emigrated over 30 years ago, the man behind the immigration counter smiled as he called me Hannah. Not miss or ma’am and especially not Hannah, the limp Western approximation of my name that seems to exist more as prefix to Montana (or in earlier years, Banana) than as its own entity. I heard my name on this stranger’s lips and felt like I belonged, though the irony was not lost on me as I watched my foreign status codified by the visa stamp in his hand. It had been almost 10 years since I’d last visited, but he said my name like I’d never left. My name is as much an impostor in America as I am. At first glance, it might fool you into thinking it is not out of place here. If you do not hold it in your mouth with the reverence it deserves it will shrink quietly into the Western mold you force it to inhabit. It will sneak past some of your defenses, mask both foreignness and blackness, in its attempt to make itself inviting. “Hannah Giorgis” is as ambivalent about its citizenship as the woman who writes it on both US passport application and Ethiopian Airlines passenger information forms, hoping to make sense of it in the margins between the two. In Amharic, the official language of Ethiopia and the first language I learned, there is only one way to pronounce my name. The Amharic alphabet is entirely phonetic, composed of letters that correspond to unequivocal syllables rather than circumstantial sounds. In Amharic, my name does not skip out of people’s mouths with reckless abandon. Unyielding hah, solid nah. It can be sweet, but first it is strong. It is not a song. To make my name into a lullaby, you must know me. Hanni. Hard a, strong n’s, soft i. Short. Lyrical. Familiar. Sweet, like honey. Sweet, like “honey” (the word the untrained ear hears). 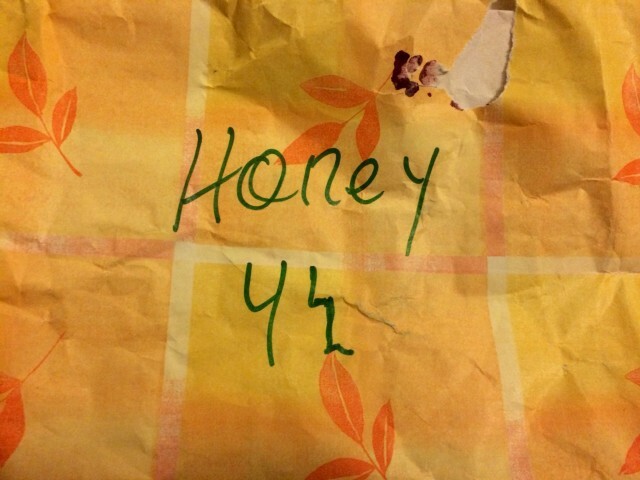 My great aunt calls me Mariye, a derivative of mar, the Amharic word for honey. I am her sweet, she says. Having grown up largely in Southern California, I toss the word around in my head and recall the Spanish word for “sea” — mar. “Mariye” then holds two meanings in my diasporic dictionary: my honey, my sea (the latter accidental but applicable all the same). How appropriate for the niece who loves most often from across the Atlantic, whose sweetness is diluted by both ocean and radio waves. When my father first immigrated to the US, Social Security wasn’t sure what to make of his name. “Mesmak Teklegiorgis” is a berbere-spiced mouthful, I guess, so they diced it into portions easier to wrap their unseasoned tongues around. Mesmak could stay (“maybe you should ask people to call you Mark instead though”), but Tekle became his middle name and Giorgis his last. “Mesmak” means shelter in Ge’ez, the ancient Semitic language from which Ethiopia’s Amharic takes its roots. The language is now used almost exclusively in Ethiopian/Eritrean Orthodox and Catholic churches. To have a name in Ge’ez is to be associated explicitly with the clergy, to be anointed by God. My father’s name is a holy shelter that crossed the Atlantic and stayed intact through its splintering. Growing up as an immigrant kid in a country defined by rigid boundaries and strict binaries, I learned to smooth out my name for people. Not correcting classmates or teachers when they pronounced it incorrectly became my white flag of choice, the slow surrender I rarely second-guessed. Outside our home, my parents called me the American version of my name. It was proof that my parents’ journey was worth it, a sign that we could assimilate into American-ness without raising our voices. But still I longed for a more tangible connection to the country my parents left; I wanted to hear the weight of Ethiopia invoked every time someone said my name. “Hannah” demanded that I actively correct American mispronunciations if I were to have any hope of hearing my heritage spoken back to me. Soft-spoken and scared to ruffle feathers, I wanted a name that spoke of Ethiopia without having to yell — to be Selam or Nazaret or Maaza. I wanted to feel closer to home. Names are among the first gifts bestowed upon us, ones we often keep with us well past our time on Earth. They can map entire histories, trace lineages, and resist borders. They are powerful and contentious, holding more than we know. The most famous of the 11 churches is a mammoth structure. It is foreboding and beautiful, the image most commonly associated with the town itself. Connected to the others not by proximity on land but by a series of trenches, it has its own majestic presence. The church, Bete Giyorgis, is stunning. Its name, pronounced the same as my own, means “House of St. George.” When I saw it this January, it took my breath away. By the time I’d regained the ability to speak, my name sounded different coming out of my lips, part of something much grander than my own lineage. Hannah Giorgis is a writer and organizer based in New York. She likes bad TV, even worse puns, and daydreaming about her future with Andre 3000. You can follow her on Twitter @ethiopienne.